The Resident - If Not Now, When? - Review: "Bias"
Wow. “If Not Now, When?” was an incredibly touching, well delivered episode. Emotions were running high. The episode started off with the Nic and Conrad of it all. They had decided they needed to talk. Actually, Nic had decided they needed to talk, but she wouldn’t listen. She got defensive when Conrad called her out, even fleeing, retreating to the kitchen. It’s hard to understand what she wanted out of the conversation, what she expected. Conrad wants movement towards their future, and he doesn’t believe Nic wants the same. They come to the conclusion that no one wants, not even them both, to break up. Conrad gives Nic back her house keys, and they part ways. It was weird to start the episode on this note, it’s usually more of an ending sequence type of montage, but both are reminiscing their relationship as they find their way to work, some great music bringing the scene together. The scene makes the audience believe that surely, the break up will not last. At least that’s what it made me believe. Surely, Nic will come to her senses, and finally open up, something she has been asking of Conrad but not asking of herself. Distraught over her relationship, Nic pulls over to the side of the road to collect her thoughts for a moment. The similar SUV that was following passes her and moments later, shots are heard. It was a surprising turn of events, snapping Nic out of her thoughts, and the viewers out of the melancholy of the relationship troubles. Nic immediately rushed to help the family. As the trauma gets in, the team discuss the incredible amount of gunshot victims they treat. They almost manage to make humour out of the situation, but it’s a serious issue. Mina and Austin work on the mother who got a bullet through her heart while Kit and Bell operate on the boy with a bullet in his spine. Both these pairs work great together. 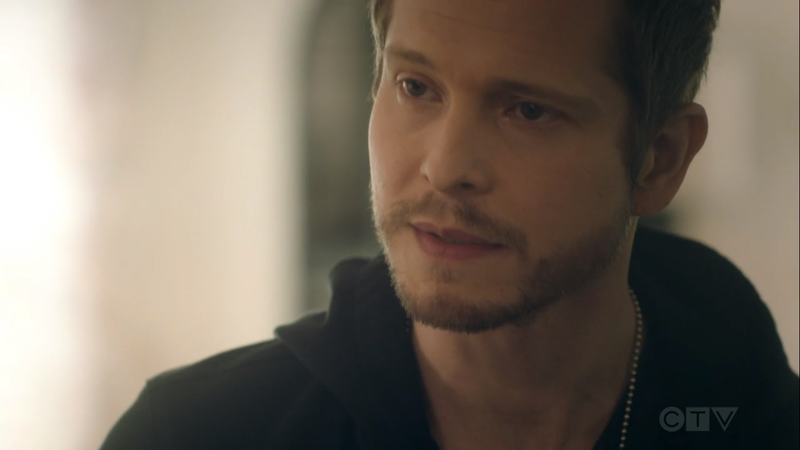 It’s always been clear that Mina and Austin work great together, but Bell stepped up for Kit when she needed him to. Kit is nervous about the operation, where a small mistake and the boy would never walk again. She’s putting a lot of pressure on herself, investing herself personally. As the surgery starts, Kit’s hand trembled and Bell was there to get her out of her head, get her going and saving the boy’s spine. He’s come such a long way. When Nic mentioned to the father that the police thought the gunmen where probably targeting someone else, my mind immediately went to Nic. Where the bullets supposed to be for her? Am I looking too much into this? Probably, yes. Anyone else? Since Nic wasn’t having a tough enough day, she also needed to tell her sister that her kidneys would not recover. With Conrad by her side, she gives Jessi the bad news; she will need to be on dialysis for the rest of her life. Jessi doesn’t take the news well, making this an emotional scene. Despite their new boundaries, Conrad is there for Nic, supporting her. Jessi can’t yet be put on the transplant list, since she’s fresh out of rehab. She needs to be at least 6 months sober, and even then it will be a 3 to 5 year waiting list. Nic hopes she can be a match for Jessi, and when Conrad brings up her father, she quickly brushes it off. She can’t count on him, the man who’s been AWOL for the past few episodes. Where is he? 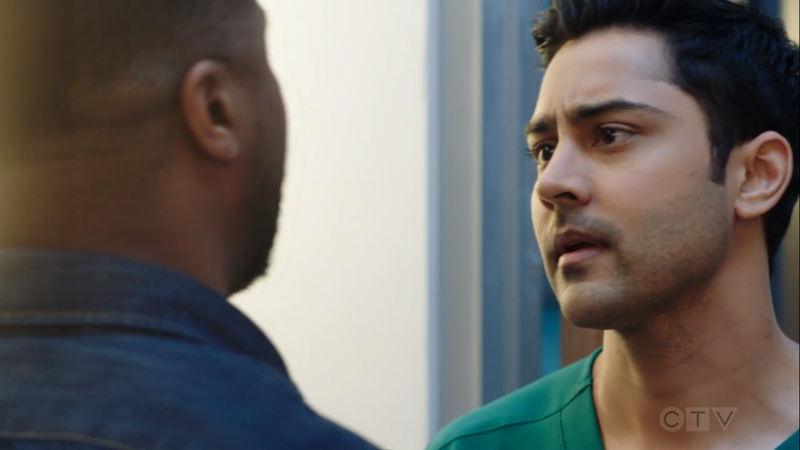 I loved the no nonsense Devon from this episode, the one that fights for his patients, that fights for injustice. Devon finds himself in the maternity ward in “If Not Now, When?”. When his patient is in need of an emergency C-section, he is there to assist with the birth. The maternity ward is short staffed and buzzing with patients, but Devon feels like there are other reasons she isn’t treated as a priority. Race comes into the equation. She is black, her doctor is white. It takes 6 hours and a lot of pushing from Devon for her to actually be treated. Would it have happened had Lea been white? No one can say, but that doesn’t mean no one addresses it. When they finally get her in to the operation room, there is nothing more they can do to save her despite the best efforts of Mina and Austin. It probably wasn’t an accident to have the three darker skinned doctors treated the Lea in her final moments. They are the ones that announce to the husband that his wife is dead. It was incredibly gut wrenching to watch as the husband comes to the realisation that his wife is not coming back. A healthy woman is dead, and two children will grow up without a mother. Bell was surprisingly human and honest in accepting the mistakes that were made in his hospital. The episode ends with him talking to the board about the new policies in regards to births, he actually wants things to change. Season 1 Bell would not have been so quick to accept responsibility. There is such a thing as unconscious bias. I loved the episode. 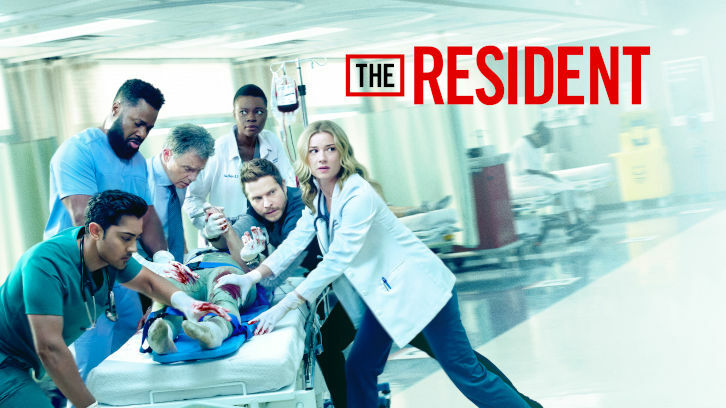 I loved how they showed that while The Resident is a fictional television show, it depicts the real healthcare system, and some real issues that happen in hospitals. I give it a great 8.5/10.